About 2 more weeks and we North Texas gardeners will be able to plant our tender crops. And that means Tomatoes! [Why exactly do we have to add an “e” when we make the word “tomato” plural – don’t answer that Micki Jo]. 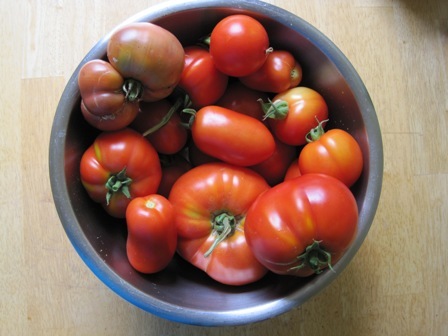 If you have ever had homegrown tomatoes you can fully appreciate the greatness of having fresh garden-ripened tomatoes. Unfortunately half the year we are relegated to those hard, sorta red tomatoes—I call them red baseballs in the grocery store. You can never have enough tomatoes during the summer months … when you are up to your eyeballs, all you have to do is can them. 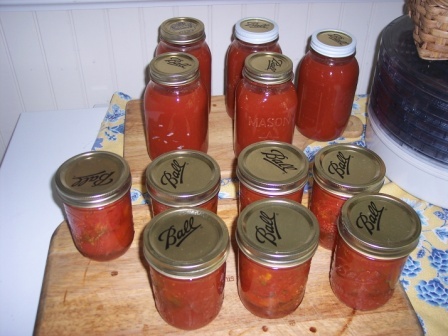 Then in the winter when you are making a stew or chili, pop open a couple jars of our canned tomatoes, and ta-dah – happiness in a jar. 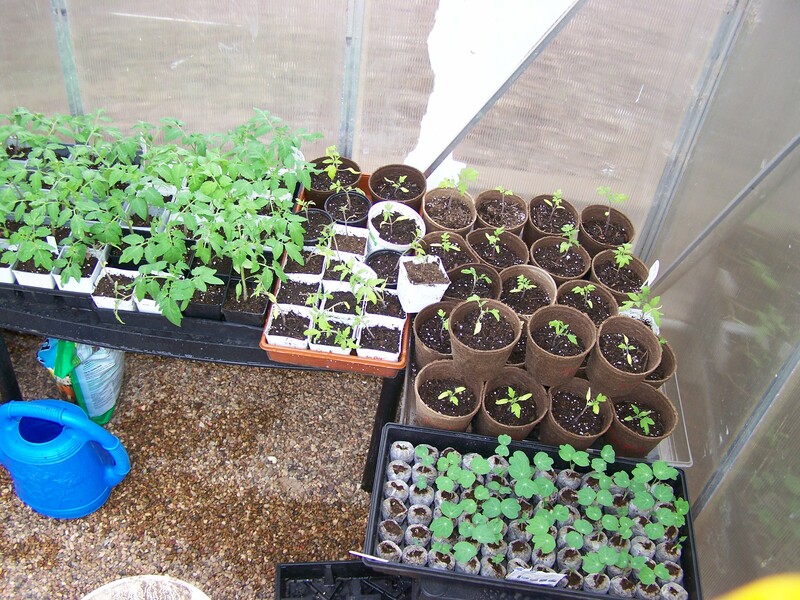 I went nuts in my greenhouse this winter with tomatoes … There are about 100 or so plants. Yikes! Calling all Gardeners! I need a few of you to take these off my hands!